After this the Lord appointed seventy-two others and sent them two by two ahead of him to every town and place where he was about to go. As we talked about earlier this month, the full proclamation of the gospel is tripartite: Christ has died, Christ is risen, Christ will come again. So anywhere the gospel is authentically preached, the result will be urgent preparation, expectation, and longing for Christ’s return. 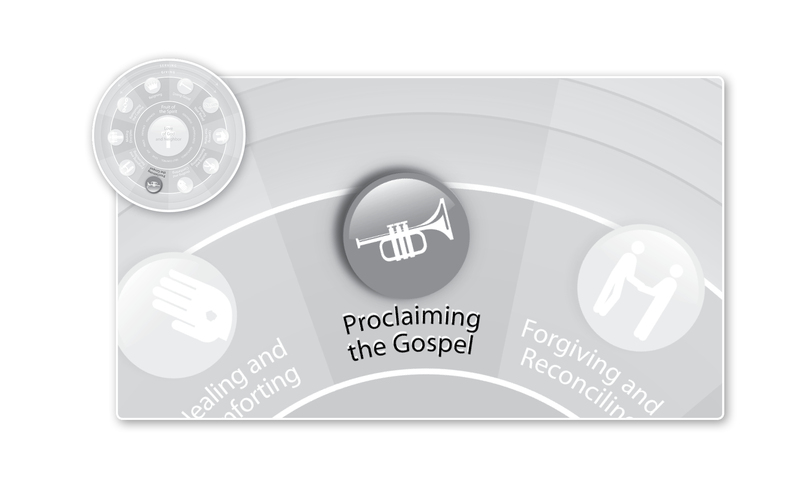 Not seeing that a lot in gospel proclamations these days… Since the “gospel” preached by many evangelists is not the gospel but rather a plan of salvation, the presenting issue is the creation and satisfaction of existential angst in the mind (rather, emotions) of the hearer. But for the true proclamation of the gospel, the issue is not the generation of sufficient existential angst to trigger the decisional tipping point to say yes to Jesus but simply faithfulness to the imperial announcement entrusted to the messenger. I was reminded powerfully and simply of what the authentic proclamation of the “Christ will come again” plank of the gospel looks like when I was doing discipleship training recently for underground Eritrean church members. (Eritrea is consistently regarded as one of the most persecuting nations in the world.) As part of the “do the Word” training, I sent them out into the community in teams of two to do good in Jesus’ name. The most natural gospel presentation in the world. No angst-inducing personal introspection required (or, for that matter, desired). Perhaps the most obvious reason why Christians double-clutch on this third plank of the gospel proclamation is that we are two thousands years into this ambassadorial function of ours and we don’t want to look like Harold Camping, announcing the end of the world and constantly revising the timeline. But who said anything about a timeline? Above all, you must understand that in the last days scoffers will come, scoffing and following their own evil desires. They will say, “Where is this ‘coming’ he promised? Ever since our ancestors died, everything goes on as it has since the beginning of creation.” But they deliberately forget that long ago by God’s word the heavens came into being and the earth was formed out of water and by water. By these waters also the world of that time was deluged and destroyed. By the same word the present heavens and earth are reserved for fire, being kept for the day of judgment and destruction of the ungodly. But do not forget this one thing, dear friends: With the Lord a day is like a thousand years, and a thousand years are like a day. The Lord is not slow in keeping his promise, as some understand slowness. Instead he is patient with you, not wanting anyone to perish, but everyone to come to repentance. But the day of the Lord will come like a thief. The heavens will disappear with a roar; the elements will be destroyed by fire, and the earth and everything done in it will be laid bare. Sadly, when the day of the Lord does come, I suspect it will be as much an intrusion for most Christians as it will be for nonbelievers. Since everything will be destroyed in this way, what kind of people ought you to be? You ought to live holy and godly lives as you look forward to the day of God and speed its coming. That day will bring about the destruction of the heavens by fire, and the elements will melt in the heat. But in keeping with his promise we are looking forward to a new heaven and a new earth, where righteousness dwells. So then, dear friends, since you are looking forward to this, make every effort to be found spotless, blameless and at peace with him. She is an awesome proclaimer of the gospel, that Eritrean sister. Everywhere she goes, people are looking up.